Seals today have enormous scopes of performance, but we nevertheless succeed time and time again in extending performance limits even further. Intensive scientific research and development activities are our basis in producing the ever-increasingly efficient, sophisticated products. Research & Development Department (R&D) has become the pillar of ProEight’s foundation since the day ProEight was established. The talents in R&D have driven the innovation of products and refurbishment techniques which help ProEight to be able to provide new products and new refurbishment methods that are cost effective, and at the same time, able to produce reliable products. R&D is also responsible in innovating various testing apparatus which allow the testing to be done in-house, helping ProEight to cut its dependency on external technology. This has also contributed in making the competitive pricing of products and refurbishment services possible. ProEight is continuously reinvesting a significant portion of its sales revenues into R&D in order to promote invention and innovation of new products and testing apparatus. 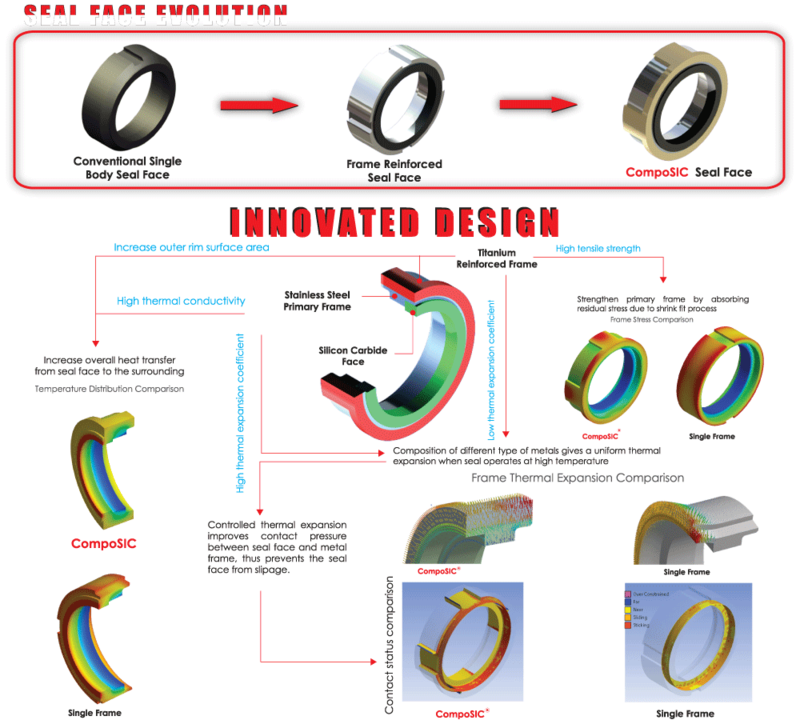 At the moment, ProEight has produced nine (9) new mechanical seals which in compliance with API 682 standard set by American Petroleum Institute (API). ProEight’s R&D is also in the midst of completing several machineries to expedite its production and refurbishment processes and to enhance its testing capability. The machines include Dynamic Tester, the first dynamic tester ever built in South East Asia, developed by ProEight’s local talents. ProEight’s R&D is continuously inventing and innovating current products and processes, and it has targeted to produce ten (10) new patents every year. R.S.T Mechaflex, incorporating the compactness, design simplicity and innovative sealing unit, FLEXICAL (Patent Pending). 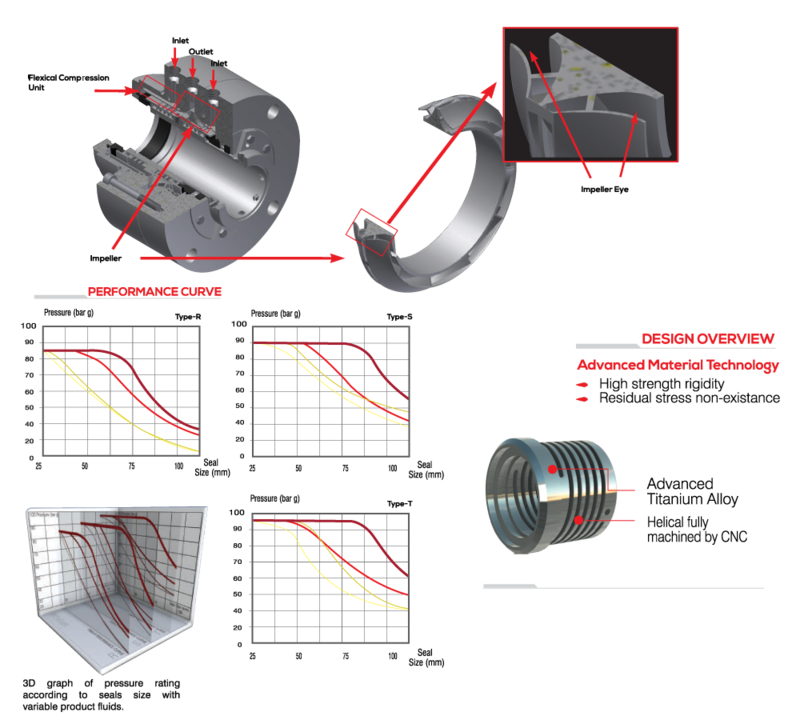 Field perfomance has shown that MECHAFLEX can perform and overcome mechanical seals issue for problematic and difficult pumps, even in the most demanding environment. 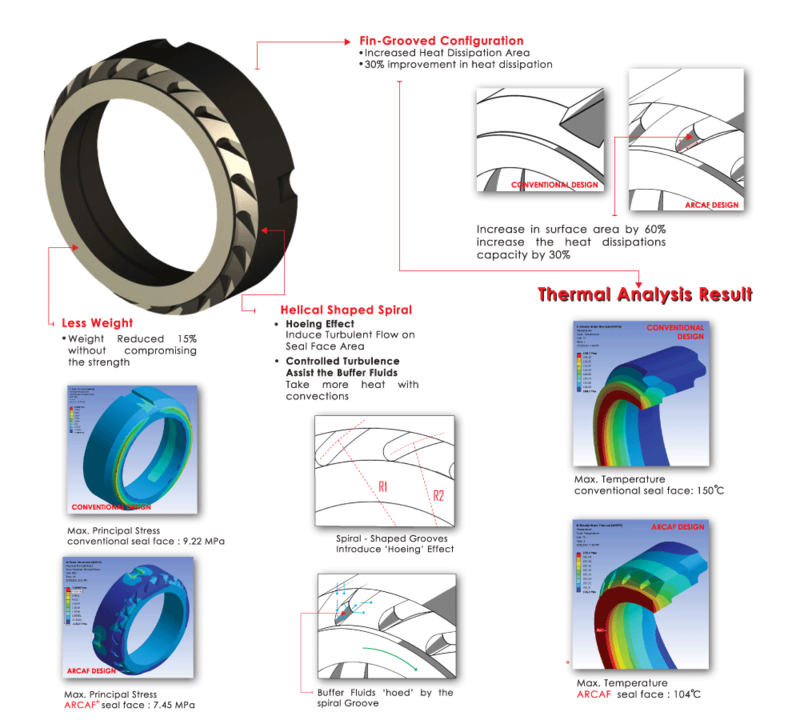 Mechanical seals with the conventional pumping screw requires the seal support system to be located near to the mechanical seals which to reduce the heat generated from the mechanical seals. However, conventional pumping screw would only able to provide axial fluid flow making heat dissipation inefficient. 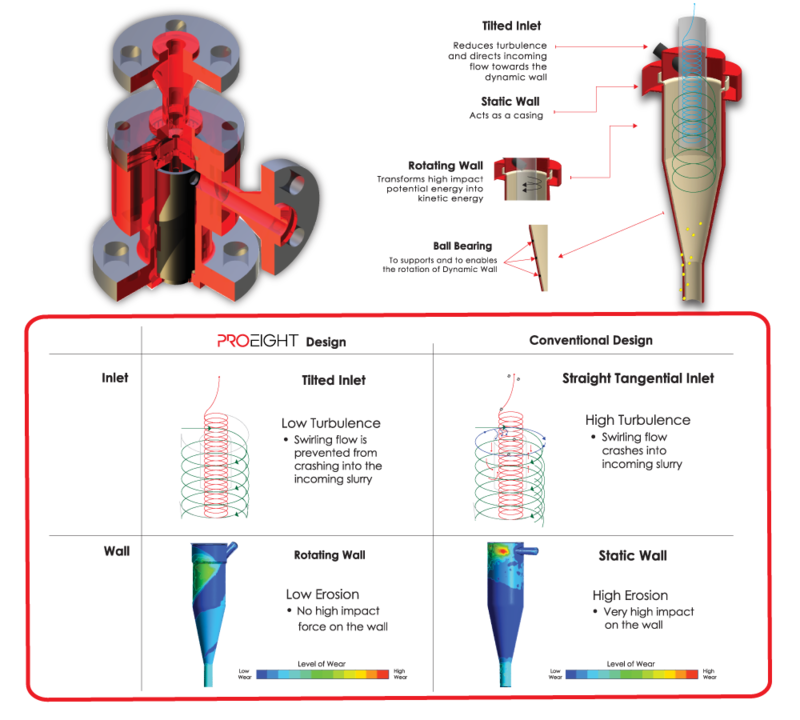 PROEIGHT, throught its latest invention, the R.S.T Mechaflex Centrifuge , is designed to address these limitation. By incorporating double suction closed impeller as the replacement of conventional pumping screw, the R.S.T Mechaflex Centrifuge is able to provide, both axial and radial flow, allowing the heat to be dissipated effectively. This innovation will allow the seal support system to be centralised with greater cooling capacity heat exchanger, resulting in higher cooling efficiency. AirSYS2 with an innovative incorporation of Horizontal and Vertical Axis Wind Turbine (HVAWT) for use in seal’s auxiliary systems. This seals auxiliary system are in accordance with API 682 / ISO 21049 which designed for high and low pressures and/or for hazardous/environmentally harmful processes and application. With an innovative design and green technology, the free wind is used to generate wind for more effective cooling capabilities. The AirSYS2 is a technology (PATENT PENDING) which has introduce the Passive Surrounding Air Induction concept to provide better efficiency of heat dissipation in the seal’s auxiliary system. 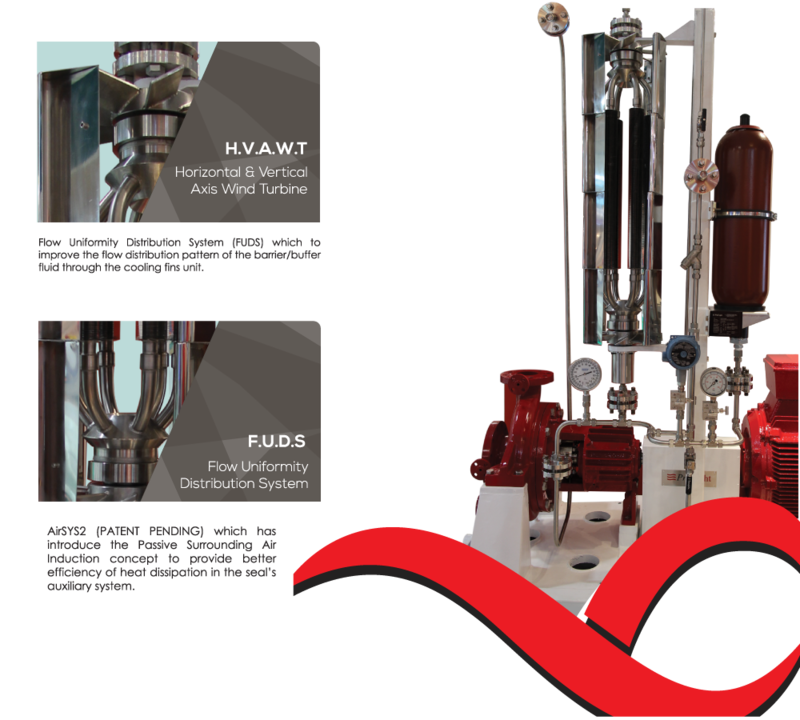 AirSYS2 also incorporated a new technology, called Flow Uniformity Distribution System (FUDS) which to improve the flow distribution pattern of the barrier/buffer fluid through the cooling fins unit. 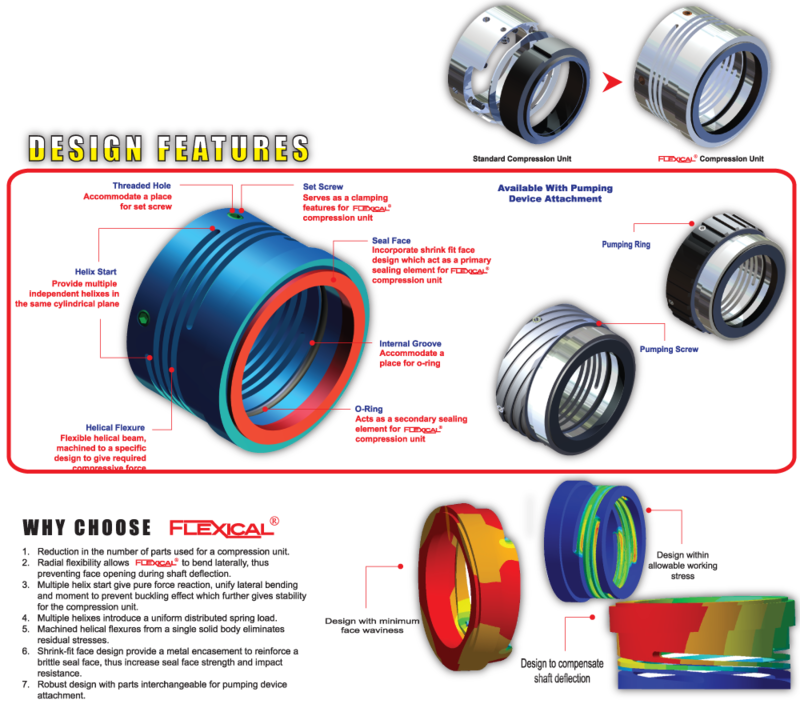 Flexical is a new type of mechanical seals compression unit, developed with a combination of mechanical technology and advance machined spring. Dynamic Hydrocyclones feautures unique geometry parts that are designed to deliver maximum efficiency, maximum capacity and longer wear life.The tilted inlet resduces turbulence and directs fluid to flow towards the rotating wall.The dynamic wall absorbs the impact force the fluid and turns it into kinetic energy, thus rotates the wall and reduces wall erosion. Composic is a silicon carbide based seal face, reinforced with a composition of stainless steel 316 and titanium Alloy 6AL4V frame.